Blog: The '70s Are Back. Can Ya Dig It? The '70s Are Back. Can Ya Dig It? I know, the thought of a lot of 1970s style makes us shudder, but the era did have some serious swagger. The song of the summer this year, Daft Punk's '70s-inspired "Get Lucky," has us rewatching old episodes of Soul Train to learn how to groove to it (just ask Steven Colbert); iconic muscle cars from the era have been rereleased; Amanda Seyfried is playing Linda Lovelace; Anchorman 2: The Legend Continues and American Hustle will premiere at the end of this year. While no one is predicting harvest-gold appliances will be must-have kitchen items again anytime soon (or ever again), there are plenty of elements to pluck from the era and think of in a new way. 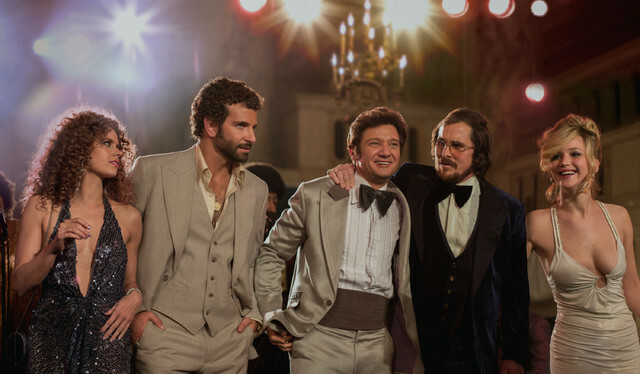 David O. Russell's latest movie, American Hustle, will premiere in December. I love Amy Adams' tight curls, but I love Bradley Cooper's more. From the Led Zeppelin–soundtracked trailer, this look likes it's going to be very slick. Now, on to how to grab those exciting parts of seventies style without going full-on Brady Bunch. 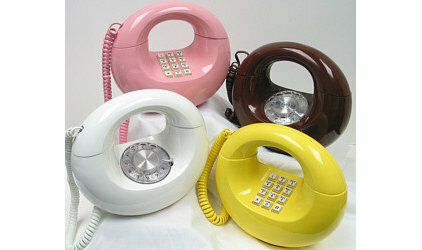 Doughnut phones. While Blondie didn't release "Call Me" until 1980, I wonder if she wrote it while contemplating one of Western Electric's doughnut phones. They are so much better looking than any cutting-edge cordless out there (true confession: I have two myself). Strong curves. 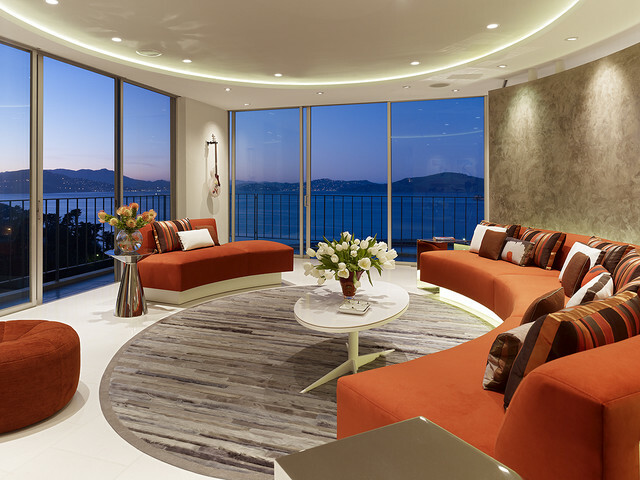 In the '70s round conversation pits, circular rugs and curved sectionals were the grooviest, and updated to a contemporary scale and balanced, they've still got it. Large abstract paintings. These brought in bold colors in the '70s, often too much bold color. 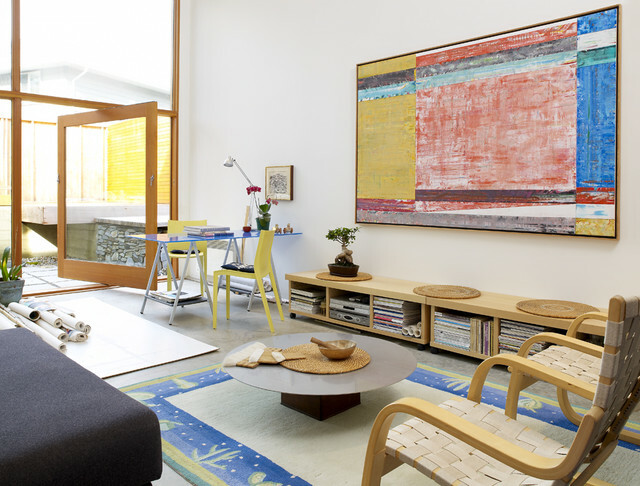 Here the use of the bright colors is restrained, picking up on the painting's palette but not overwhelming the room. Gingham. 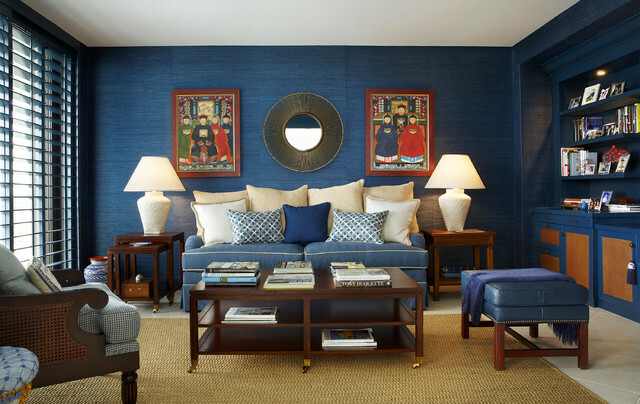 This plaid pattern appeared in more traditional rooms back in the day, but today designers are mixing large-scale ginghams into modern and contemporary spaces. Groovy L.A. looks. Somehow Los Angeles managed to do the '70s very well, then and now. 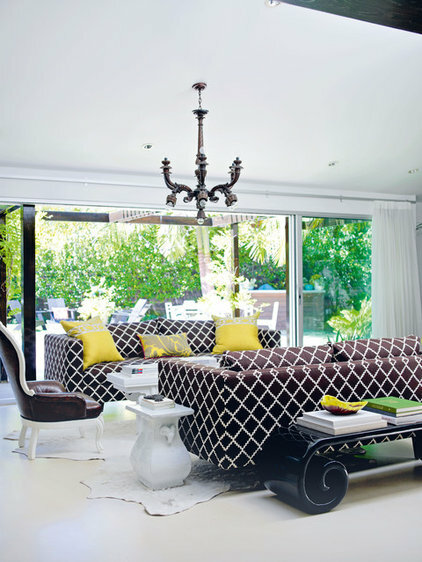 Trellis and lattice patterns, large-scale curled coffee tables and bright yellow are plucked right from the era. Malibu surfer chic. Also coming from California is the laid-back style of old surf-shacky Malibu. My favorite description of Malibu in the 1970s was written by Rob Lowe in his memoir, Stories I Only Tell My Friends. He paints a picture so markedly different from movie moguls' blocking off beach access with their megamansions. Moroccan rugs and live-edge wood in an all-white room are exotic and organic updates on surfer and hippy style. Brown and orange. 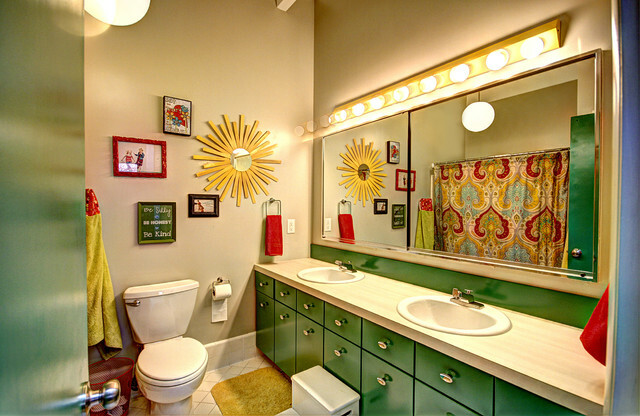 This was a go-to color combo in the '70s, but it often made rooms dark and depressing. 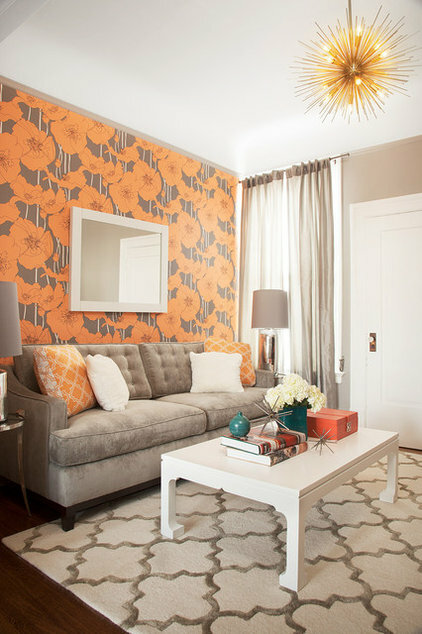 On an accent wall balanced by light neutrals, this bold floral wallpaper from Osborne & Little evokes a far-out feeling. Grass cloth. This wall covering was found mostly in tan and other brown hues back in the day, but now it's available in a wide range of colors. 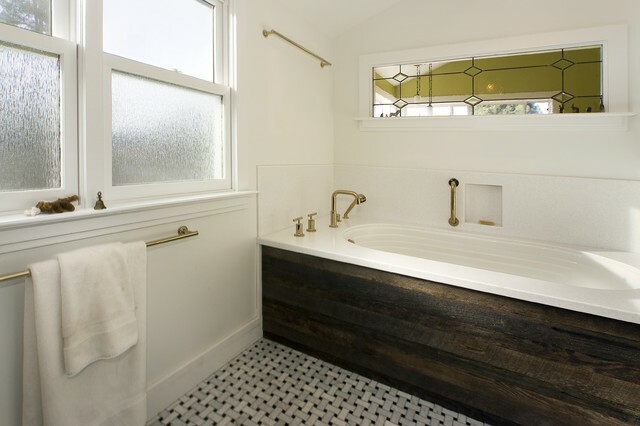 Designers love the rich texture it brings. The glint of chrome. Metal furniture and accents were part of Jetsons-inspired futuristic '70s style. Brass. This metal finish was perceived as gaudy by the time we'd all seen enough of it through the '70s and '80s, but now it's being used in sophisticated ways in homes from traditional to contemporary. Foil wallpaper. Happenin' rooms from the era also embraced the metallic look in wall coverings. 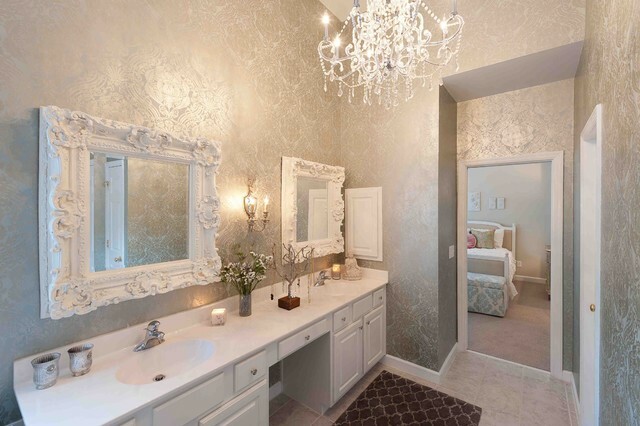 Today we appreciate the way these coverings reflect the light and add glamour. Lucite. The '70s offered plenty of new ways to work with Lucite. 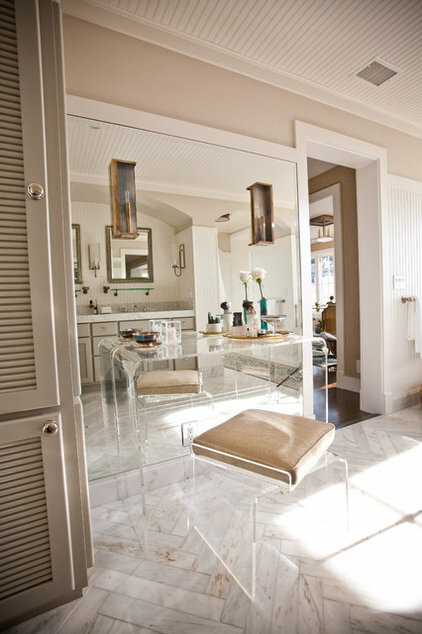 Today's designers appreciate the glamour of the material as well as the way its clear views make a space feel larger and airier. Solar panels. The Carter administration made a big push for using solar energy, even installing solar panels on the White House in 1979. Unfortunately, we burned through a lot of oil while the idea slowly caught on and the technology improved. (The panels were removed during the Reagan administration in 1986.) But solar panels returned to the property in 2002, and more are being installed this month. VW buses. 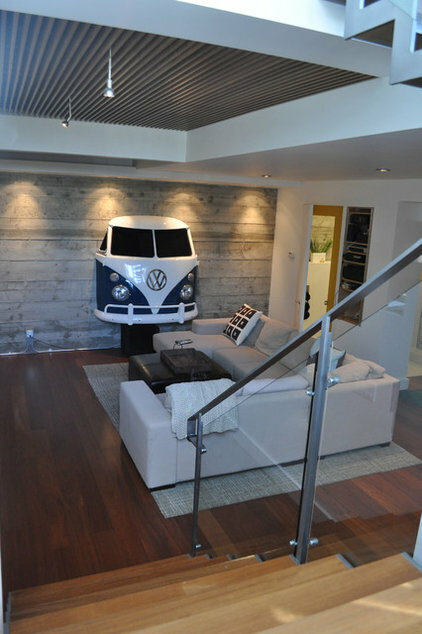 While it's rare to see one on the road these days, some homeowners are embracing the magic bus in unique ways. Bold florals. Florals in the '70s were big, loud and proud, in some color combinations that were downright obnoxious, brazenly expressed in bold geometries. 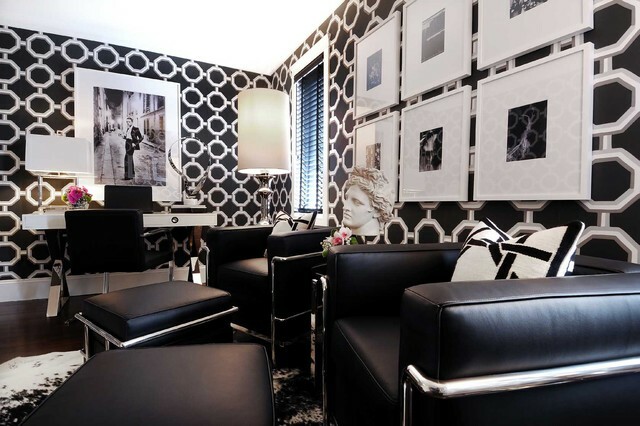 Here a more subdued floral mixes with an op-art-like floor in an eclectic mix. Pops of happy florals. This clean, contemporary space doesn't take itself too seriously; it's punctuated by pop floral prints atop the bar stools. 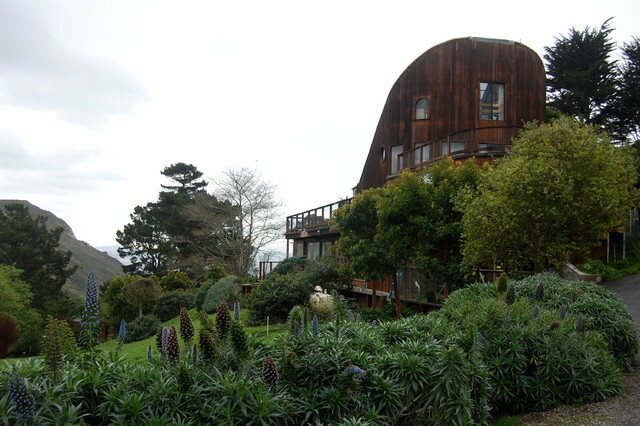 Organic architecture. 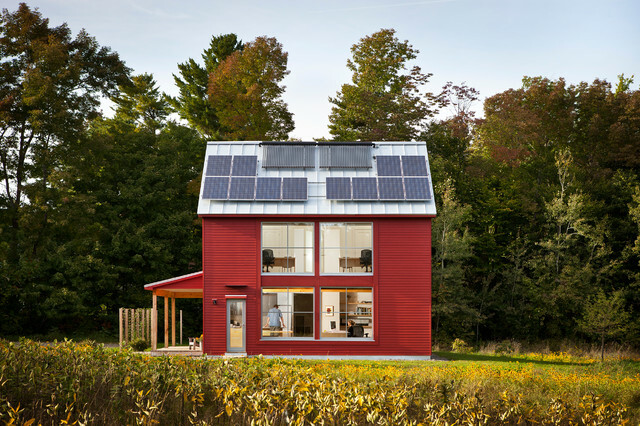 A style that was very popular during the era is enjoying new life, with architects updating the buildings, retrofitting them for modern life and adding on to them in ways that enhance the original architecture. Shag carpeting. In the '70s the thicker a carpet was, the better, and it was often used wall to wall. 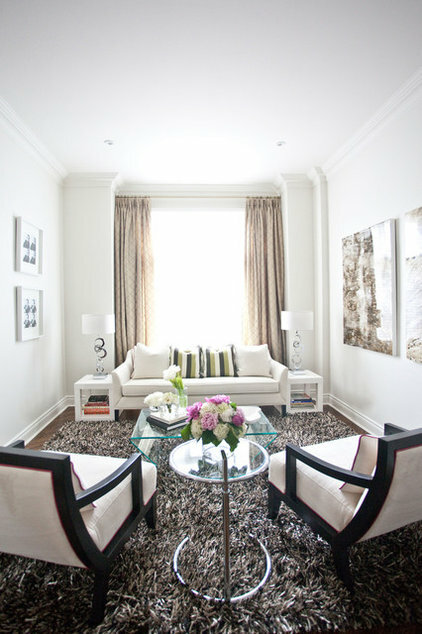 Today thickness comes in smaller area rugs or rugs that don't reach the walls for a more chic look. Macramé. 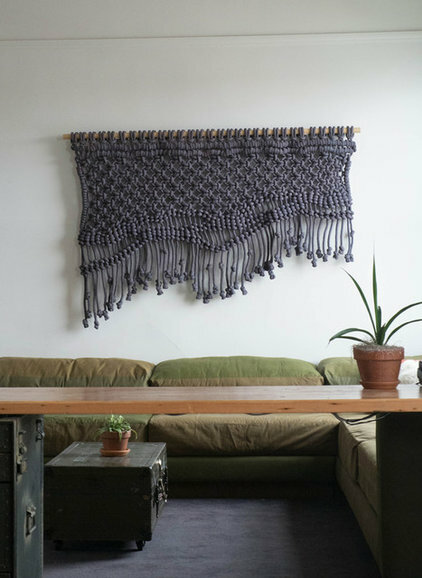 This knotted craft, so typical of the '70s, is making a comeback in new colors, in simpler patterns and at larger scales. 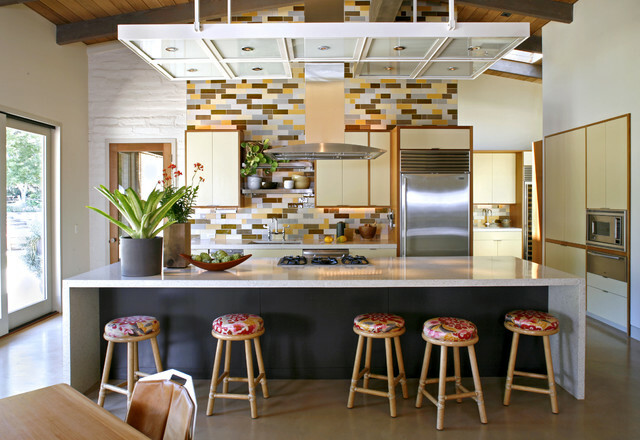 Bright countertops. 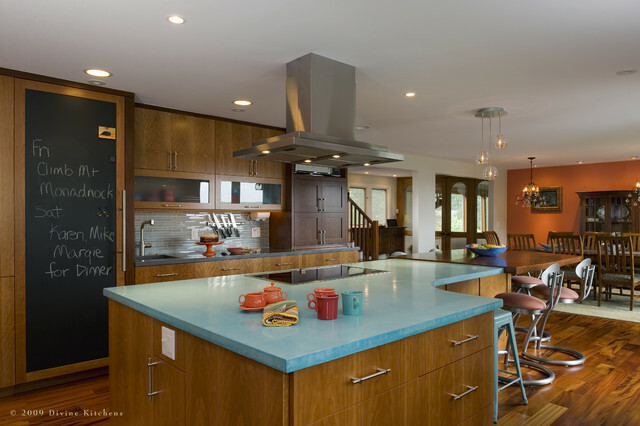 These were likely to be Formica in the '70s; today recycled glass and custom-colored concrete (seen here) bring big color to counters. 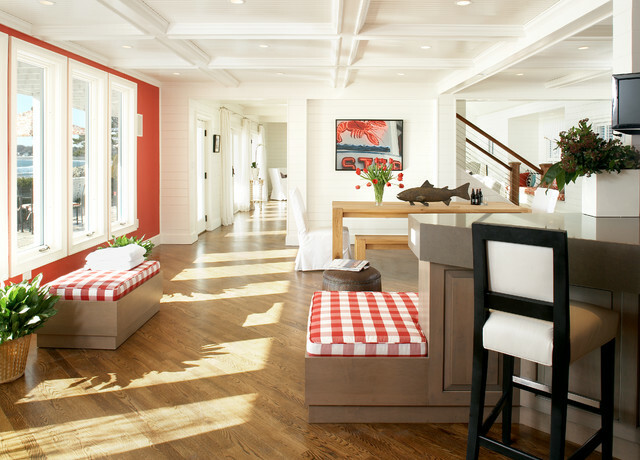 Brightly colored cabinets. Turquoise, taxicab yellow, kelly green — not all was avocado or harvest gold during the era. After so many years of natural wood stains or white, colorful cabinets are back in both high gloss and matte.